Writers tend to use the terms for protagonist and main character interchangeably. In fact, if asked to define one of these terms, we would probably come right back with the other term as our quickest explanation. And why not? Both describe a story’s central character, right? Not necessarily. This argument doesn’t even matter most of the time. Why? Because in the vast majority of stories, the protagonist will be the main character. Luke Skywalker, Anne Shirley, David Copperfield, Katniss Everdeen? All are main characters and protagonists. That’s straightforward storytelling at its best. But not all stories are straightforward. Some stories split these roles between two very distinct characters. 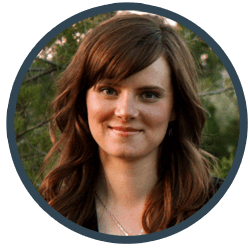 If yours happens to be one of those stories, then you need to make certain you understand the differences between protagonist and main character–and how you can best leverage them against each other to create an amazing tale. Let’s start with the most obvious question. If a protagonist isn’t perforce a main character, then what is he? If we go way back to the ancient Greek, we’ll remember that protagonist simply means “player of the first part, chief actor.” This is the person who’s driving the plot. He’s making things happen. He’s the vortex at the center of the cyclone. Without him, you may have an interesting situation, great settings, and a charming supporting cast–but they’re just gonna sit there and look pretty. The protagonist is the person who opposes and/or is opposed by the antagonist. Between them and their conflicting goals, they create the obstacles that propel the story forward. In short, the protagonist is the catalytic force at the story’s center. What’s the Difference Between Protagonist and Main Character? Obviously, the protagonist is a very dynamic fellow. After all, he’s the one who’s creating this entire story. As such, he will almost always be the person whom the story is about. He will be the one nearest the audience, perhaps even the one directly telling them his story. Except for when he’s not. All that personal forcefulness doesn’t mean he must be the story’s main character. Sometimes the main character–that person who is nearest the audience–won’t, in fact, be the story’s main catalyst. Although he will almost certainly be active within the plot, he may not be the one driving it. Rather, he may be simply observing the protagonist in action while the main character himself is caught up in the protagonist’s whirlpool. Does that mean the main character is nothing more than a narrator? Is the main character just someone who watches on the outskirts of the conflict and reports back to the reader, rather like an omniscient narrator only without the omniscience? Not at all. In order to qualify for the title, the main character must be still be involved with the plot. He must be personally impacted by the protagonist and the main conflict. Think about Sir Arthur Conan Doyle’s Sherlock Holmes books. The narrator Dr. Watson is obviously not the protagonist. But is he the main character? Definitely not. These stories are all Sherlock, all the time. Watson as narrator is simply a device for telling the story. In order to qualify as a main character, rather than just a narrator, he would have to represent change in some pertinent way: either by being impacted and personally changed by the protagonist Sherlock or by contributing to the progression of the plot in some obvious and integral way. Note that the technique of separating protagonist and main character into two separate characters should never be chosen simply because the author wants the opportunity to feature the non-protagonist’s point of view. Multi-POV narratives allow you to feature the POVs of non-protagonist characters without their being the main character. Now comes the real question: why would an author want to deliberately prevent the protagonist from having a POV? Because that’s what the technique of separating protagonist and main character comes down to. Obviously, this is a specialized technique that is only going to be appropriate for certain types of stories. But it can be extremely valuable when you understand its benefits. Consider four. Not all protagonists are going to be relatable or even likable to start off with, which means that an everyman narrator can be just the ticket for making readers comfy within the narrative, while your protagonist’s quirks unfold. 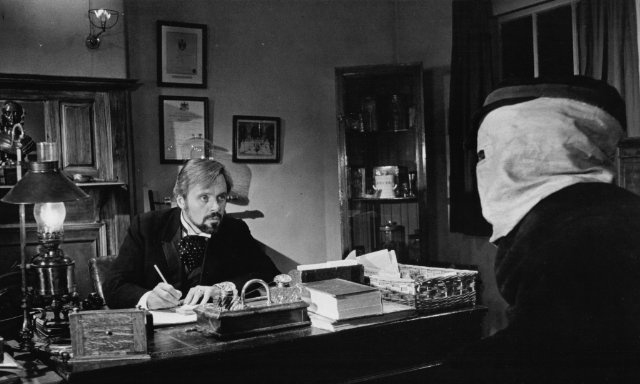 The movie The Elephant Man starts out by aligning viewers with the “normal” Dr. Frederick Treves and allowing them to learn about the grotesquely deformed John Merrick through his eyes. The advantage of this device is to create immediate identification with the more familiar character, and then transfer that identification to the hero through the course of the film. On the flip side, sometimes this distance from the protagonist is also useful in encouraging an air of mystery or even in enhancing the good qualities of the character. F. Scott Fitzgerald’s use of Nick Carraway as a distant narrator in The Great Gatsby allowed him to enhance Gatsby’s legendary status in ways that would have been impossible had Gatsby been the one telling the story. 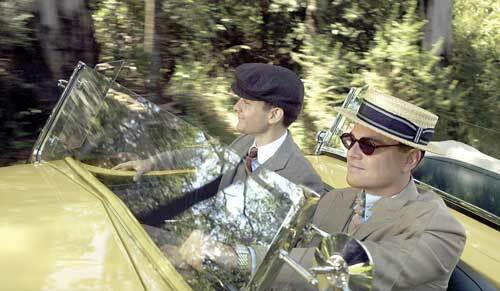 Note, however, that both Frederick and Nick are not passive observers of their fantastic protagonists. They both drive the plot in their own right and are ultimately impacted by their protagonists in profound ways that change them by the end of the story. If you’re featuring a particularly unique protagonist, you may not be able to represent him as fully as you wish from within his own POV. Just as with humans in real life, a character will always look completely different within his own head than he will from without. Stories with multiple POVs will allow you to show your protagonist both inside and out, but some protagonists may be better served only from the more objective outside perspective of a main character. 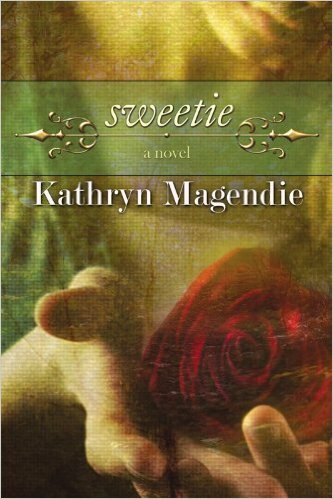 Kathryn Magendie’s coming-of-age Appalachian novel Sweetie features the wild, young mountain girl Sweetie as the protagonist. But she is only revealed to the audience through the eyes of the “normal” main character, whose life will be forever impacted by Sweetie’s unique views and personality. Depending on your choice of main character/narrator, you have the potential to create interesting layers of juxtaposition and irony within your story. How different might Harper Lee’s To Kill a Mockingbird have been without the filter of Scout’s child eyes viewing her protagonist father’s actions? This kind of irony is most effective when the protagonist and main character are complete but curious opposites: a child observing an adult, an adult observing a child, an animal observing its owner. You can also stretch this irony into outright unreliability. 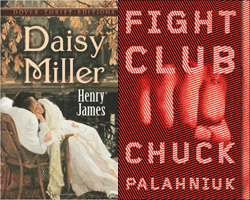 The narrating main character may be entirely wrong in his observations of the protagonist, as in Henry James’s Daisy Miller and Chuck Palahniuk’s Fight Club. In stories that separate protagonist and main character, the intent is usually to emphasize the effect of the protagonist’s actions upon the main character. In these instances, the protagonist acts as the impact character, which usually (although certainly not always) has him following a flat arc (in which he already understands the story’s central Truth) that impacts the main character into following a change arc (whether positive or negative). It’s worth reiterating: this is the fundamental difference between stories that use a narrator (such as Dr. Watson) and stories that use a separate main character. If the main character’s life is not changed by the protagonist–and does not create changes within the lives of others as a result–then he is not a main character, but only an observer. As you can see just from the titles mentioned as examples in this post, it takes a very special type of story to require the protagonist and main character to be different people. Should you be writing one of these stories, it’s crucial to understand what creates the difference between these characters and how best to take advantage of it. Experiment with the form, have fun–and you may end up writing a “very special” story yourself! Wordplayers, tell me your opinion! 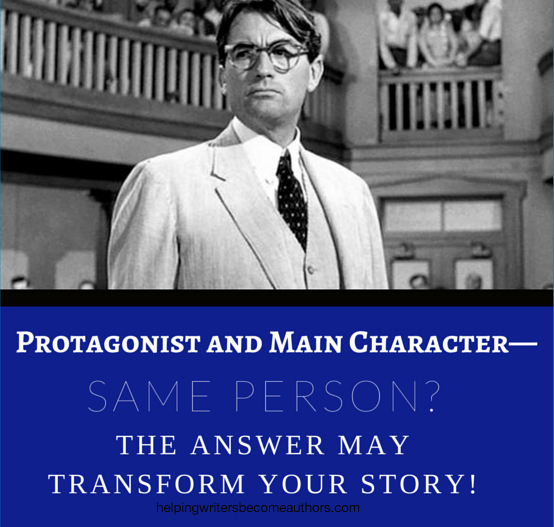 Have you ever considered writing a story in which the protagonist and main character are different people? Tell me in the comments! To what extent would a passive main character be disqualified from being the protagonist? If the plot merely happens *to* the main character and is driven by others (someone guiding him/looking out for him vs. someone trying to hurt him), would that make him a non-protagonist main character? Would the person trying to help him and, thus, directly opposing the antagonist and setting the plot into motion be the protagonist? 1. Another character (or collective entity) is really the protagonist, driving the plot around this passive main character (basically, what you just said). 2. The character has purposefully been written as passive, in what is essentially a experimental form, so the author can make some kind of statement about people or society in general. 3. It’s just poorly written. The majority of the time, this is going to be the case. Passive characters who have no goals and don’t drive the plot usually fail to produce powerful stories. Laina, please tell us about the “someone” who is guiding and looking out for him. Without that someone, or without that someone’s desire, would the story collapse? For example, in The Wizard of Oz, Dorothy wants to go home. If Dorothy ever stopped wanting to go home, the plot/story would collapse. And tell us about the “someone” who is trying to hurt him. Same question. Is there anyone with an unfulfilled desire that spans most of the story? Is there anyone that the reader naturally identifies with? Who changes during the story? Well, I’m still working on reading it, but basically the main character has a goal (to go home), except that he is mainly powerless to accomplish it, so someone with more power and capability has been helping him from “behind the scenes” (the audience sees them doing it, but he doesn’t see them). He is mainly following the directions of whichever guide sent by his… sponsor, I suppose? …comes along next. Within most scenes, he is actively doing something (following the advice of his sponsor, seeking out potential allies, trying to survive, etc. ), but the larger plot elements happen to him and then he reacts. He seems to be a flat arc character — side characters are affected by his presence, and one in particular has had some significant growth, but he hasn’t had any significant character development to speak of and does not seem to have a “Lie”. I mentioned this to the professor of the class I’m doing the analysis for and he said that I could at least argue that the sponsor is the main agent of the story, which would be a more easily defendable yet still quite arguable stance. Laina, I am reminded of Jacob Marley and his three employees the Ghosts, as the main agent(s). Your MC corresponds to Scrooge. But Scrooge is changed. I am reminded a little of the Good Witch of the North and her explanations and snowfall, and everybody who helped and instructed Dorothy (“follow the road” / “bring me the broomstick”). In what sense is it “his story” ? Does this growth character begin with a Lie? In what sense is it HIS story? Oh, does the sponsor change? What’s the sponsor’s motivation? In what sense is it HIS story? So, would Belle be the protagonist and Beast the main character? No, I’d say (at least in the cartoon version, since I haven’t seen the new one), that Belle is both protag and MC. Beast is the love interest/relationship character, who is impacted/changed by her flat-arc Truth. I wonder if it would be the same in my ow BATB retelling or if she’s the protag and he’s the main character. Who is the story *about*? If it’s *not* about the more dynamic character, then you’ve likely got a split MC/protag. It was a really insightful post. Thank you a lot for your advices ! I’m currently writing a Sleeping Beauty Retelling and I have a case of this. When I introduced a bigger plotline to the story, I’ve realized my MC Aurore wasn’t cut out to be the protagonist but that Kriss, who I thought was just an interesting secondary character, actually was the driving force behind the main plotline. And I think it works better that way. Now the thing is that as Aurore discovers more about Kriss and the crisis (see what I did there) that threatens her world, she grows and acts as an impact character to the protagonist because she’s the one who can see behind Kriss’ Lie and the psychological mess she’s in. But she also has her own journey / dynamic arc (since she carries the themes of the novel and has a more personal plotline), is personally involved with the Antagonist, etc. And so while Kriss’ journey is about saving the world(s) from a terrible threat, Aurora’s is about discovering the flaws in her world and others and yet understanding why it’s still worth saving. And also learning how to become the protagonist of her own life. Which is why I think for this story, it’s best to separate my MC from my Protagonist. Now the thing is finding how to plot this because objectively, Kriss’ plotline is the most interesting and drama-focused – but for the sake of mystery and themes, I have to stick with Aurore’s point of view and more mundane personal growth. It’s just that I’m afraid it could turn out to be boring after a while, especially knowing something much more interesting is happening in the shadows and is waiting to be discovered. That’s usually the problem with splitting MCs and Protagonists : the protagonist is always doing much more interesting things and the MC either has to catch up if he wants to be involved / doesn’t want to be in the shadows, or he is just a passive observant with a particular point of view. The protag is the effort figure while the MC is the change figure, right? So the protag is “more interesting” as long as the doing of things is more interesting than the change. So, make the change as interesting as possible. We wonder: Will the character change or not? Also, are there two competing changes, so we wonder which influence will win? (Angel on one shoulder, devil on the other). Generally, how can character-change issues be made more “interesting” than decision-making, initiative, effort and action? I originally thought maybe I had two protagonists, but after working through that a bit, I realized that just didn’t work either. This post made a light bulb come on for me – thank you! I realized that who I thought would be my protagonist, is actually my MC – and my protagonist is the character that actually couldn’t tell the story herself – but really the entire story is about her journey. Thanks for explaining this in such great detail! Thanks for this post. It definitely helped me to clarify in my mind the roles of the characters in the serialized sci-fi mystery-romance-thriller novel I’m currently writing (my first novel). I use multiple POVs and protagonists (and antagonists) in addition to the MC. However, two-thirds through the story, one of the protagonists appear to take on an antagonist role to the main protagonist. I never planned how I would deal with my characters, I just wanted to tell my story. But it got a lot bigger and more involved than I ever could imagine, to the point that I had to split the story in 3 to make a trilogy. I’m wondering, is it unusual for characters to switch roles? Or is there a special term that defines such characters? It’s best if the character roles are established from the beginning. 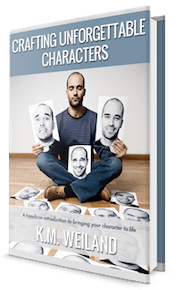 A character can start as a “good” guy and turn into a “bad” guy–from a moral standpoint. But in order to create a cohesive plot, the protagonist needs a cohesive antagonistic force aligned against him as the catalyst in the conflict, from beginning to end. Over the past year or so, I wrote a novel (I intended to write a short story, but the characters ran away with it) that felt ‘different’ to me [different from my other novels, but also different in a broader sense]. I didn’t understand why, until I read your post here. I separated the protagonist and main character. Thank you for clarifying that. Thanks for the article. I am writing a historical fiction series (3 books) and the protagonist is a female- in the first books she is merely a baby so I have created a separate main character to her, a teenage male, who responds to her and reflects her struggle, and together they drive the plot. She’s a teenager in the second book and by the third book, she is a woman. So, for the second and third books, I plan to have her as the protagonist and main character. Is this OK to do? Readers are going to connect with the main character in the first book, since he’s the one telling the story. It would be fine to shift the focus of the later books away from him to a more prominent emphasis on the girl, but I wouldn’t abandon him completely. If he’s what readers really end up liking in the first book, they won’t appreciate him fading out later on. Why can’t a baby be the main character? I have a question I think that relates to this article. My main character is not my protag, though he is affected by the protag every step of the way. The biggest reason she is not the MC as well as the protag is because the protag has a secret that is super important to not only Mc’s character arc, but is important to the plot (it affects all of it, but no one knows except the protag, and is important to her own character arc, too). Is this a valid reason to have him be the MC? Does that make sense? That confused even me after rereading it. Jasper is MC, Daniella is protag. Daniella has a secret that isn’t revealed until the second plot pt, and I read that the reader needs to know what the MC knows when they know it. 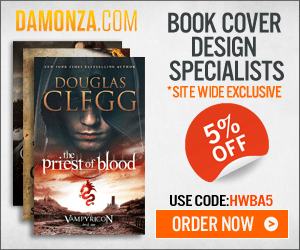 I want it to be a reveal to the readers, though, this secret of Daniella’s. So, Jasper, who is interesting and affected by Daniella and her secret via character arc and plot, ends up being the MC. Is her secret and the need to keep it from everyone (readers and other characters) a valid reason to not make her the MC AND protag? As long as the MC has a story arc of his own–with the protag driving the plot–this should be fine. Hi K.M. referring back to your article in August 2015, on having a different Protagonist and Main Character, I would like to know more about the structural implications arising from this. You mention that the MC has to have a story arc, so I am curious about what this means for aligning the beats of the structure, and also not ending up with more than one story. Is this really a question about the outlining stage and how to decide whether or not to use this strategy after which the usual rules apply. I imagine that the decision impacts on the character, or flavour, of the book as a whole? Hi K.M. – I am in the beginning stages of writing a comic (which I will illustrate and publish online once I’m done – hoo boy), and I am all mixed up about whether I have dual protagonists or an MC/protag…or even just a protag and a sneaky antagonist! Hopefully this isn’t too little information, but I don’t want to get too into the weeds of the plot. MC1 (Asa) is a compelling character in her own right, and the plot is directly driven by her. She is the “impact character” for MC2 (Jack), pulling him into the story, and (unbeknownst to him) guiding his actions along the way. Her character arc is the one most intrinsically tied to my story’s theme of unintended consequences, as every action she takes towards her goal/the climax of the story result in increasingly disastrous situations. Jack is, in my opinion, the most interesting character of the two, due to his unique backstory which causes Asa to “recruit” him in the first place. His character arc is tied less directly to the theme: he highlights the unintended consequences of Asa’s actions, and is more of a passive subject of the theme. But, his own character growth causes him to act in ways that spur Asa to reactions that result in even more disastrously unintended consequences on her part. But, in your opinion, what does it sound like I have here? If Asa’s the sole protag, as her arc is the best illustration of my theme, is it okay for the main character to be more “interesting”, at least in terms of ~mysterious~ backstory? Or, conversely, given the nature of the theme and how it relates to their two character arcs (Asa causing the unintended consequences, which in turn drives Jack’s arc), do I really have two protagonists? I hope that’s not too confusing! Thanks in advance for the input! Sounds to me, based on what you’ve said here, that Asa is your protagonist. To double-check, look at your major structural moments (First Plot Point, Midpoint, Third Plot Point, etc.). The protagonist is the one (or should be the one) who consistently shows up, impacts, and is impacted by the events of the main structural beats. I don’t see any problems using Asa as your protagonist and Jack as your main character, as long Jack is suitably impacted thematically by Asa’s progression through the plot. Thanks for the quick response! That definitely makes sense. So, my next question is – how does/should this affect my story structure? I’ve already got two distinct arcs (mostly) outlined, intersecting at each plot point, either through the same shared experience or cause and effect scenarios. Some need tweaking to bring them closer to the theme, but Jack’s entire arc is definitely a thematic consequence of Asa’s. Should any of this be changed with the realization that the story is protag/MC instead of protag/protag? Nope, that’s a viable structure. I believe that Mary Poppins is another example of this. Mary Poppins doesn’t change; she causes others (mostly Mr. Banks) to change.